There are many possibilities to reveal fraudulent Chinese sites. 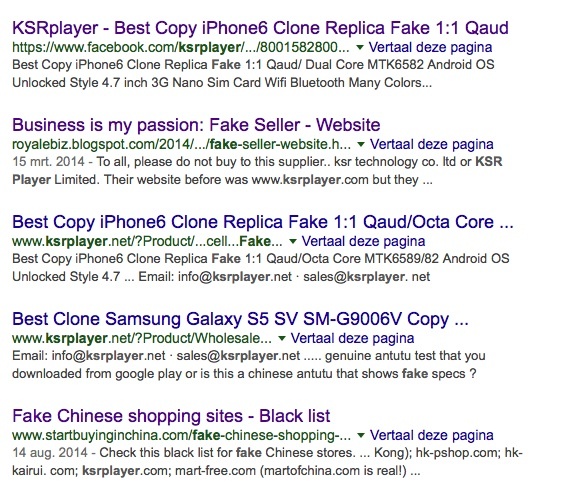 If you still doubting on whether a site is fake or real, check out this blog: Avoiding Fake Chinese Sites. It has all the info you need. Today I like to reveal one of the techniques I use a lot. The reversed engineering technique. This tool can help you with a lot of great stuff. Many sites – and especially fraudulent sites – post all kind of info on their site to prove it is a real site. Funny, most of the times, the more info you see, the less real it is. This week one of my students asked about KSRPLAYER dotnet. I know this name for a long time and the original site was a dotcom. If you check out the dotcom version, you would immediately see that it was shut down because of a US federal court order, because of the sale of counterfeit products. Beats by Dre in this case. If you are interested in legal about counterfeit, this dotcom is a Walhalla with PDF’s and all kind of info about the judgment. Testing KSRplayer with the criteria as described in the blogs mentioned above, it seems to pass on some very important criteria. For example the payment options. This site offers PayPal, Western Union, Moneygram, Coinstar, AliPay, and bankwires. Okay, the payment options are mostly bank transfers, but they offer Paypal. Time for some more investigation: I like to know whether the company images are real or not. To guide through this process I’ll make a step-by-step guide. First I made a screen capture from the factory image. Now you get an option to add a URL or to upload an image. Despite what Google says, just drag the image to the search bar. Google gives many site that use this image. Since all sites are in Chinese, I can only check for the URL names and the image sizes. I think that sites with a larger image might be real. Searching through the pages I stopped at the third page. There is an image sized 500×375. The biggest and probably the original one. It is from Shenzhen labor dispatch. SZJOBhr.com.cn. Some kind of company for employees. Our image can be found on its front page where it shows its clients. Click here. I have no clue. But Google translate is my friend! Visit translate.google.com and you can translate almost anything. Even complete web pages when you enter the url. 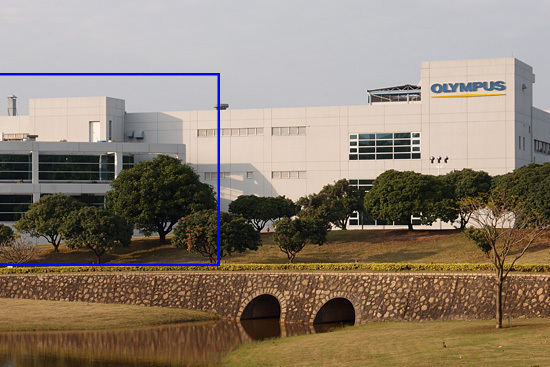 Google tells us, this company is Olympus (Shenzhen) Industrial Co. LTD. Step 8 Search for Olympus (Shenzhen) Industrial Co. LTD.
Back to Google, the Olympus company is a group company of Olympus Global. The address is North District, High-tech Industrial Park, Nan Tou, Nan Shan, Shenzhen, Guangdong, 518052 P.R.C. 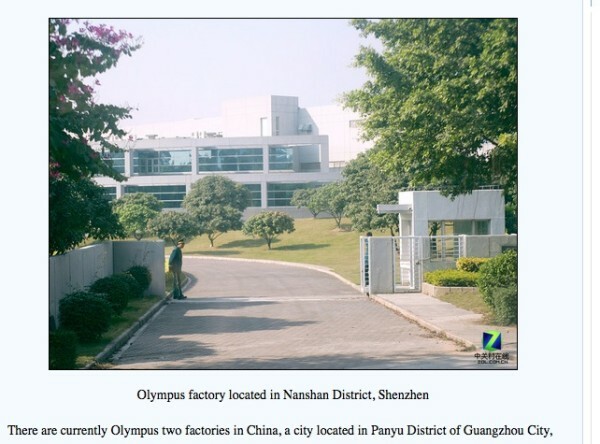 There is a guy that took some images of the Olympus company on one of his trips to Shenzhen. Our image is a detail of the middle section of this building. Why are there so many sites that use the same image? This image might be the entrance of some kind of business park. Well this aligns with Step 8. But why is there only the Olympus logo on the building? This is not the answer. Step 11 testing some other links. Well the building appears in many blogs and text that have no relation with the image. I think I’m on a dead end. But then on page 4 there is another 500pix image from 2007. That’s an old one! 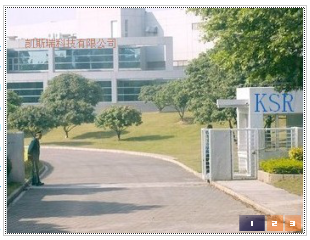 The translation tells us it really is the Olympus factory in Nashan District Shenzhen. Check this. The image from KSRplayer is absolutely fake. The text on the building and at the gate are photoshopped (and even poorly done). At the ‘about us’ page KSRplayer has another image of their company. It’s an artist impression. Doing steps 1-12 again, you can find many sites with this image too. No no no!!! I’m not going to do this again! So one thing for sure. KSR is not in those buildings! 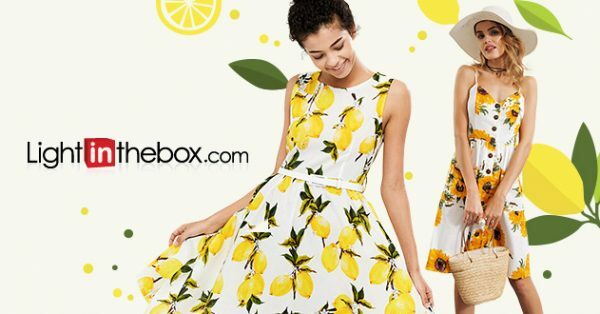 You can use the same reverse search technique to find images like clothing or other products. When you found a product you like, copy the image and search for the image in Google. Google will tell you which stores sell this product. The only thing you have to do is to select the best (and real) store for you. I use this technique a lot in my reviews! I hope you find this guide useful. It could have stopped at step 5 or 6 and come to the same conclusion. But I liked to dig in a little deeper. Have you ever dealed with KSRplayer? What are your experiences? Please let us know in the comment box below! 2 replies to "Reversed engineering for fake Chinese sites"
how can I opt for these payment methods? I find it difficult to do so. even up to today, lightinthebox offers western union and bank transfer as the only payment gateway for orders to my country. until they ever change it, not buying there. they need to be considerate.